Hoarding, a psychological disorder deeply ingrained in a person’s mind and habits. 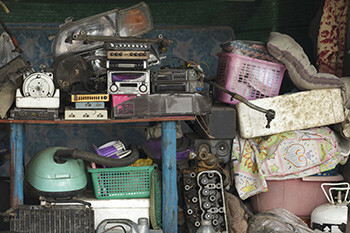 Hoarders are not collectors, although they may see themselves as such. A collector is one to organize, clean, and keep their collections on display. Hoarders however have difficulty discarding items that appear to have little or no value, cluttering their living spaces and keeping themselves from being able to use a room as it was intended. While it’s vital that a hoarder receives support, one must recognize that you cannot “heal” them. No amount of reasoning will convince a hoarder to discard their hoard. A hoarder’s condition can improve with cognitive therapy and sometimes medications to treat an underlying condition. Educate yourself - Hoarders are considered to have a form of obsessive compulsive disorder, with them finding it difficult to rid their hoarding habit thanks to their compulsive need to save things. The Anxiety and Depression Association of America (ADAA) offers resources on its website here. You may also want to contact a professional who deals specifically with hoarding issues to get you started. Provide practical support - Approach your friend or loved one with compassion, respect, and understanding. Hoarders aren’t proud of their situation, you don’t want to shame, threaten, or attack them. Have patience - While you may want to rent a dumpster and clean out the space overnight, that's typically not how it will go. Instead, offer small, short term options, such as emptying out practical spaces such as the bathroom to improve living conditions one step at a time. Have realistic expectations and be grateful for small steps. Understand this is a process - According to the ADAA, people hoard because they believe an item will be useful or valuable in the future. Or they feel it has sentimental value and is too irreplaceable to throw away. Even once a home is clean, your loved one may be dealing with issues that led them to hoard in the first place. Continue to support and encourage them as he or she goes through a treatment plan. At Brooks Remediation, we don’t just provide hoarding cleanup, we work with you to help provide a new beginning! We can come to you for a site assessment at no cost to you, or if you prefer we can answer questions right over the phone. 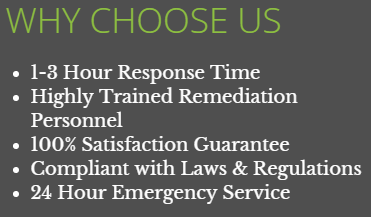 The helpful, courteous, and friendly staff at Brooks Remediation is not here to place judgment, but rather to offer assistance to what tends to be an emotional, frustrating and difficult state you or a loved one may be living in. What is Infectious Disease Decontamination?